Another Foundation for Chinese Performing Arts Walnut Hill piano recital and another experience of older, more probing ways to approach the deepest repertory. Thursday evening NEC professor Victor Rosenbaum presented Beethoven’s last three sonatas, and like the wisest of sonic docents he beckoned us to listen and look and learn, here, and here, and there, and now here again. For me it will prove memorable. The sonorous Opus 109 opening was a thing of beauty and marked the artist’s rapt attention to sound quality and to buried-line and chord voicings and emphases: an interiority both general and specific. The subsequent Beethoven eruptions remained beautiful, which is rare. The greatly contrasted variations, “on another theme that partakes of both hymn and aria” explains Michael Steinberg, likewise got richly colored and refracted, and by the end Steinberg’s “the theme reemerges as it was at the beginning, but after the experience of the variations it is no more the same than we are” felt unusually apt. The playing of this pianist in his mid-70s is not without technical limitations. Trills and much else are often very slightly uneven; micro-pauses and micro-hesitations seemingly made out of necessity abounded, although so many difficult passages negotiated well make that arguable. Some tempo adjustments made for boggy, undriven rhythm. Rosenbaum savors more than performs, in patiently detailed paragraphs, as composer and smart critic Jed Distler put it. 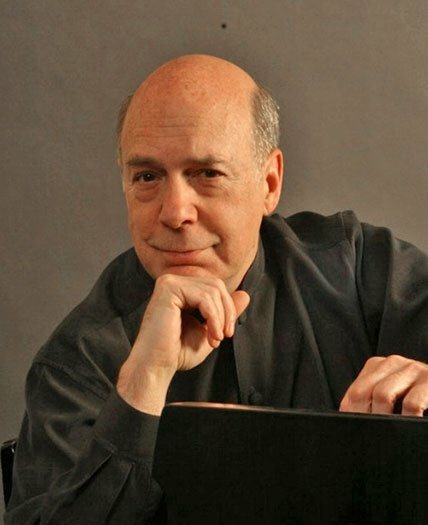 Masterclass students have reported Rosenbaum’s efforts to educe playing where every phrase is meaningful, extra-expressive, extra-sensitive, rhetorical yet not executed too evenly (eighth notes) nor with today’s typically excessive dynamic contrasts. But despite some hemming and hawing, spots of rhythmic weakness, and smudges, it was the artist’s effects both granular and granitic that kept drawing my attention. Plus the multihued sounds. Opus 110 was the overall high point, with its kindly dramas and formal trickery after the hymnlike opening. Soon enough, caprice leads to grieving opera, many burnished runs and figures, calm fugue, a return to tears and more, fugue presently upside down with temporal chicanery, creating seriously revived feeling via faster notes to be played more slowly, “each tempo seamlessly transformed into the next, the whole work conceived and performed in one unbroken flow … [and on the last page] lyric euphoria” (Charles Rosen). All of this episodic drama and continuity Rosenbaum achieved, in an engrossing, contemplative, forceful performance. I was especially gratified to hear every righthand clang on the last two pages hit loudly. Opus 111 likewise was a winding trail in sound, C minor to C major, defiance to sublimation, crags, rocks and roots underfoot to, eventually, unforeseeable exalted views. The second, last movement was at the lofty level of 110. The Jerry Lee Lewis variation was dispatched with superior woogie, rocking at the Kempff level if not quite young Kovacevich and Lewis. After it the final pages of trills and figures like trills drove and drove, clouds lifted, anguish exhaled, tension eventually made “peculiarly weightless” (Steinberg). And again the clangs as we round toward home, which so many pianists do not get the importance of, rang out. Altogether memorable. There’s really nothing to add after these pieces, Rosenbaum announced, before serving us a hypnotic reading of the only possible Opus 126 Bagatelle, No. 3, Andante, singing and gracious.